The A320 neo plane was operating from Thiruvananthapuram to Male. There were 136 passengers and crew on board. An Air India flight on Friday landed on an under-construction runway that was yet to made operational at Velana International Airport in Male, the capital of Maldives, putting the lives of 132 passengers at risk. 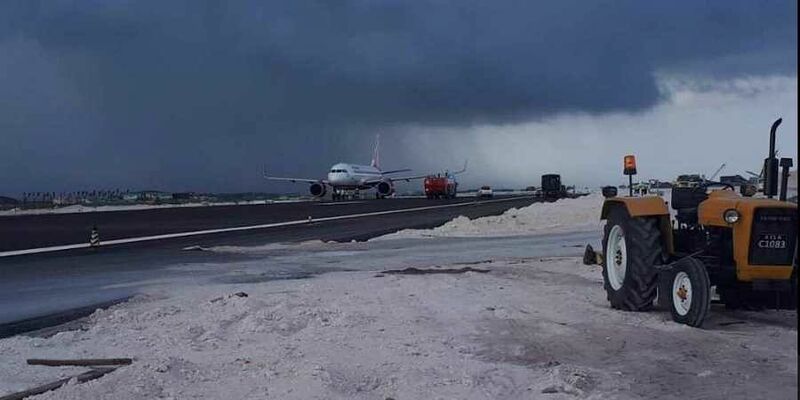 According to a DGCA official, Flight AI 263 operating from Thiruvananthapuram to Male landed on the wrong runway at 3.55 pm. Fortunately, all 136 passengers and crew on board the new Airbus A320neo aircraft were safe. The official said two tyres of the aircraft got deflated while landing and the plane had to be towed back to the parking bay. The tyres could have developed a flat after the pilots applied breaks upon realising they got the runway wrong. The aviation regulatory authority of Maldives is investigating the incident. A DGCA statement said, “this being a serious incident, Aircraft Accident Investigation Bureau (AAIB) has been informed. Both the pilots have been off rostered”. The under-construction runway is 3,400 metre long and 60 metre wide. This is second such incident within a month that a flight operated by Indian airline company has landed at or tried to take off from the wrong runway. On August 3, pilots of a Jet Airways Boeing 737 had attempted take off from a taxiway parallel to the runway. The aircraft then went off the paved area of the taxiway and got stuck there.